Give Fifty Yellow Roses on the occasion of a birthday or anniversary or simply to give a emotion. 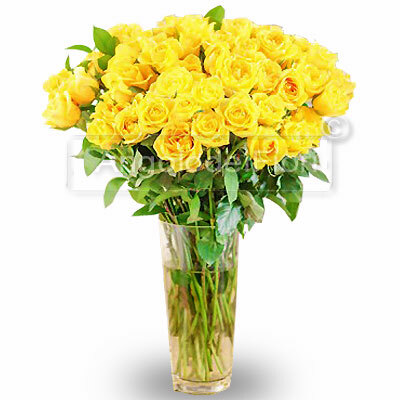 Yellow roses for their sunny color are suitable for a dynamic woman jovial and witty. The bundle includes fifty yellow roses and green Gypshopila complement.